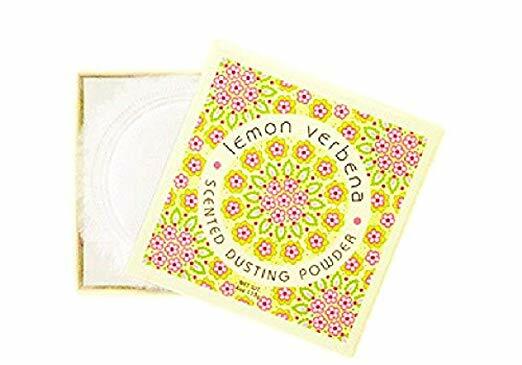 Greenwich Bay Trading Co. Scented Dusting Powder, Lemon Verbena, 4 Ounce. 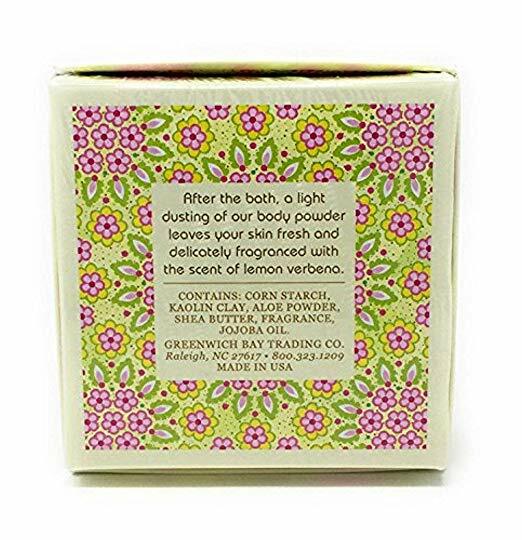 Light body powder for after the bath in fresh botanical scents. Paper-sealed and presented in a gift box with a soft powder puff (net wt. 4oz). Light body powder for after the bath in fresh botanical scents. Paper-sealed and presented in a gift box with a soft powder puff (net wt. 4oz). Dusting Powder with Puff.